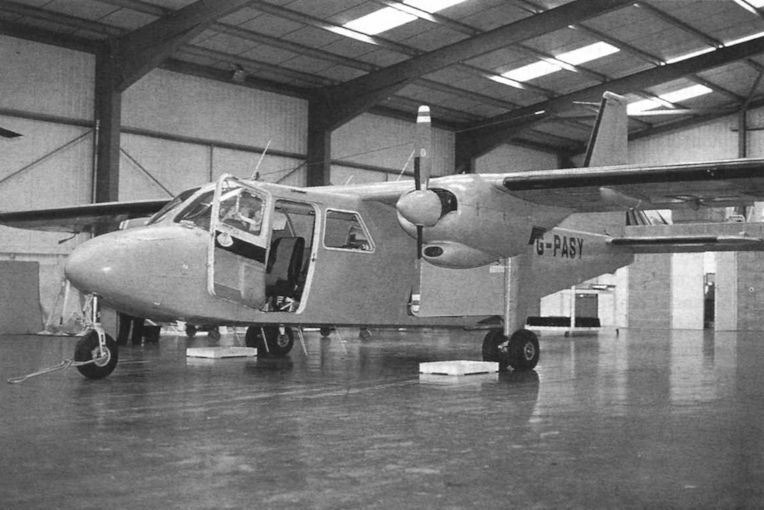 M.Ashley - The Day of the "Copper Chopper"
The clandestine BN-2A-26 Islander PAS "Yankee" in the Police Aviation Services' hangar at Staverton. 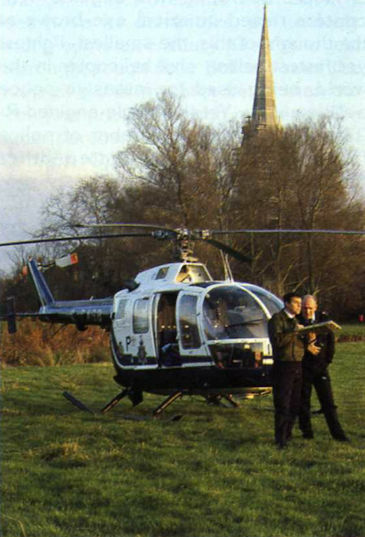 The Islander's role is classified. 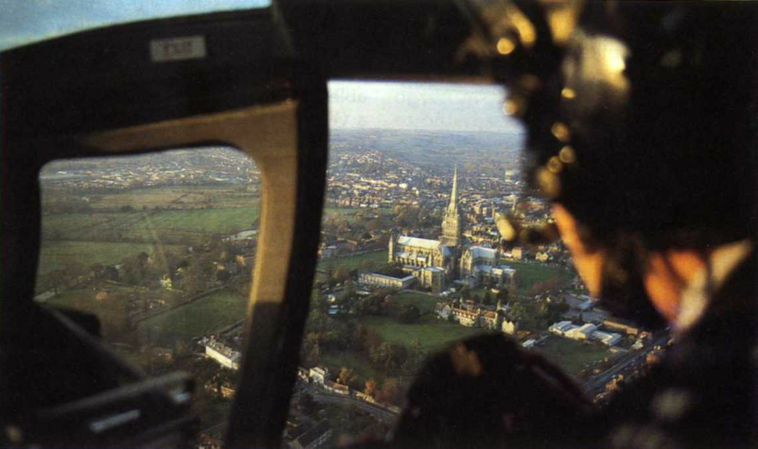 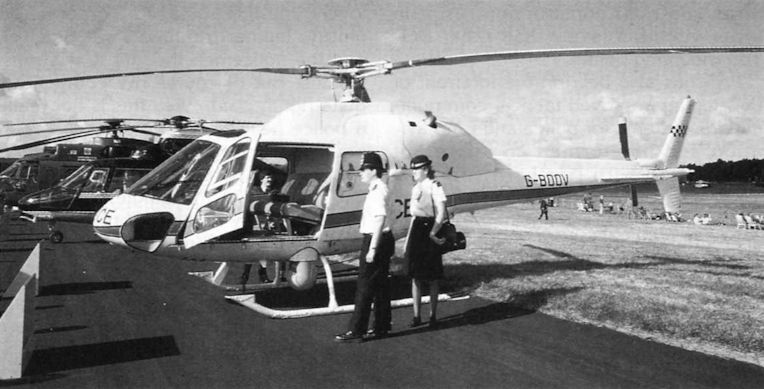 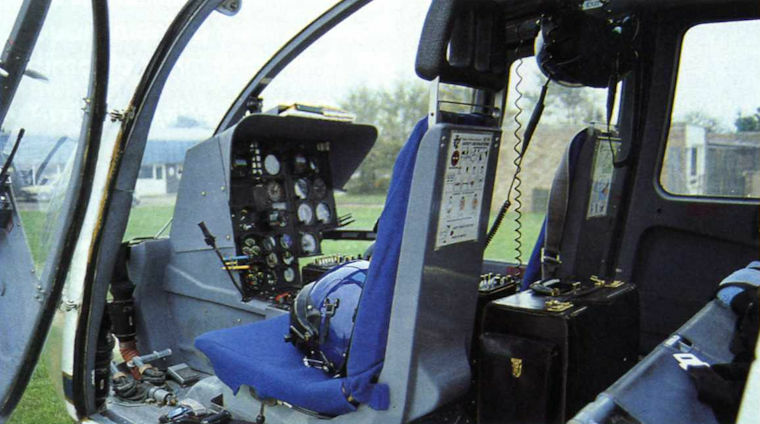 The bulged window of Observer 1's position in the Bell 222 clearly illustrates how far the police officer can lean safely out to look directly down below the helicopter. 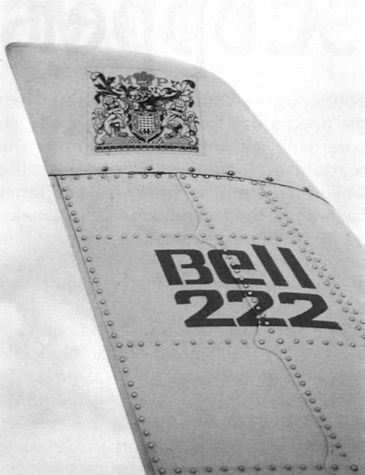 The Metropolitan Police Force's crest at the top of a Bell 222 fin. 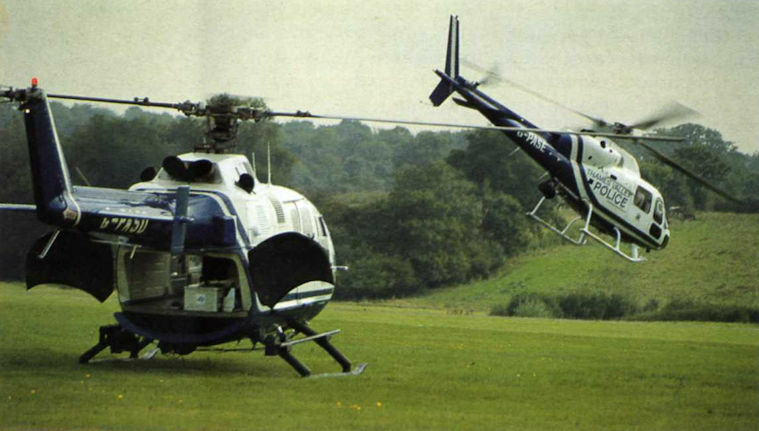 G-BOOV in the static park at Farnborough 1988. 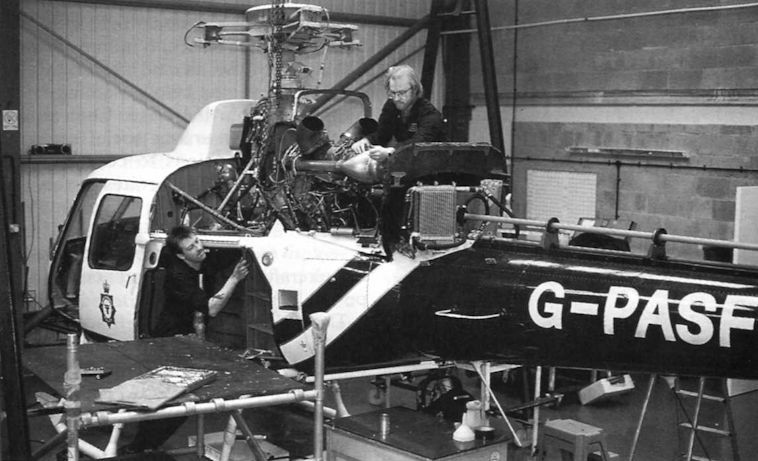 Police Aviation Services maintenance staff at work on Northumbria Police Authority's AS.355F-1 Twin Squirrel PAS "Foxtrot", in the company's hangar.